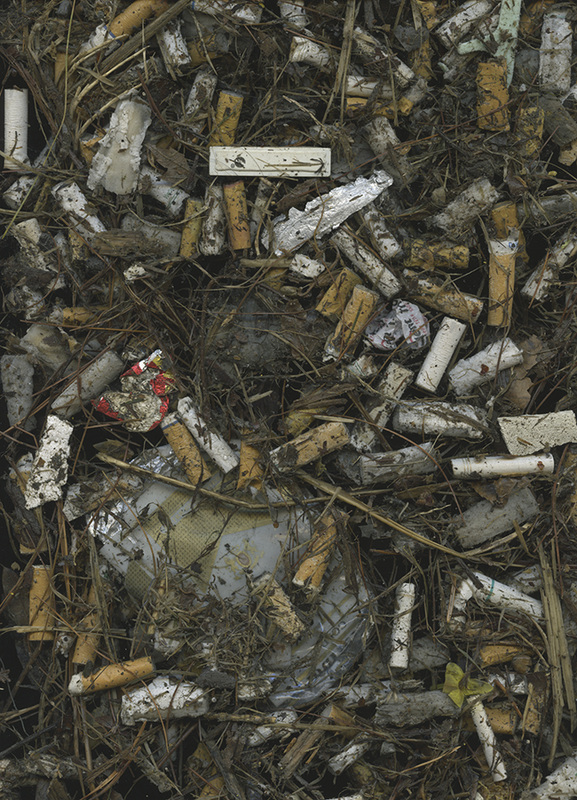 When I moved to Roanoke, Virginia, I first noticed the smell of cigarette smoke from the cars ahead of me, then I noticed when cigarette butts were thrown out of cars, and finally I realized there were massive amounts of cigarette debris along curbs all over the area. 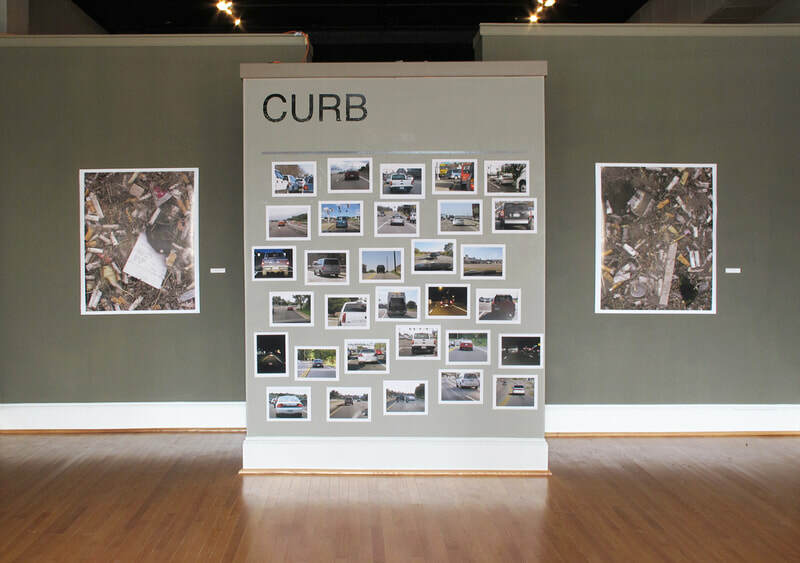 For this project I collected the debris from various locations, scanned it in and created large prints. The smaller images are of cars I photographed after witnessing a cigarette being thrown out of the window. For the exhibition opening I created a scavenger hunt and visitors were invited to find items in the images such as a rubber band, a yellow balloon, a toothpaste tube and a tiny snail. 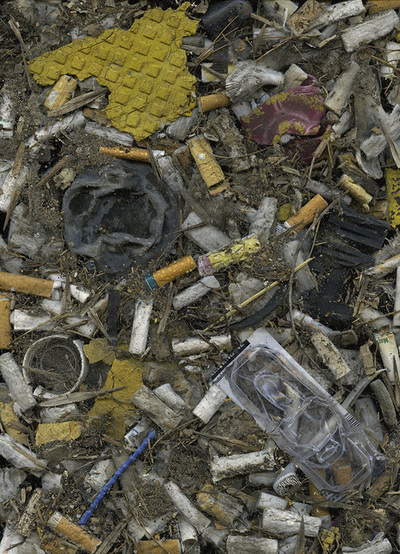 Cigarette filters are not biodegradable. They are made of cellulose acetate (a plastic). Cigarette butts are the most common type of litter on earth. 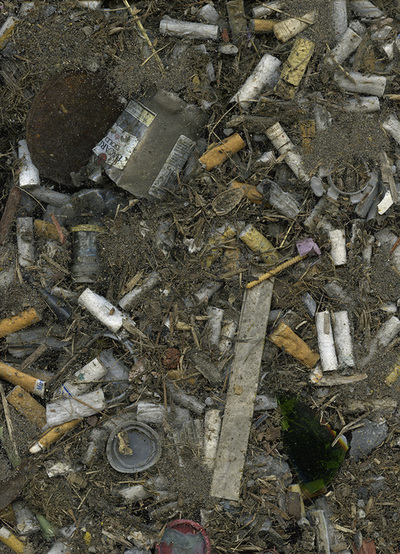 Toxic chemicals absorbed by the filters are released into water and present a danger to organisms. Ingestion by children may cause illness and in small animals may cause death. 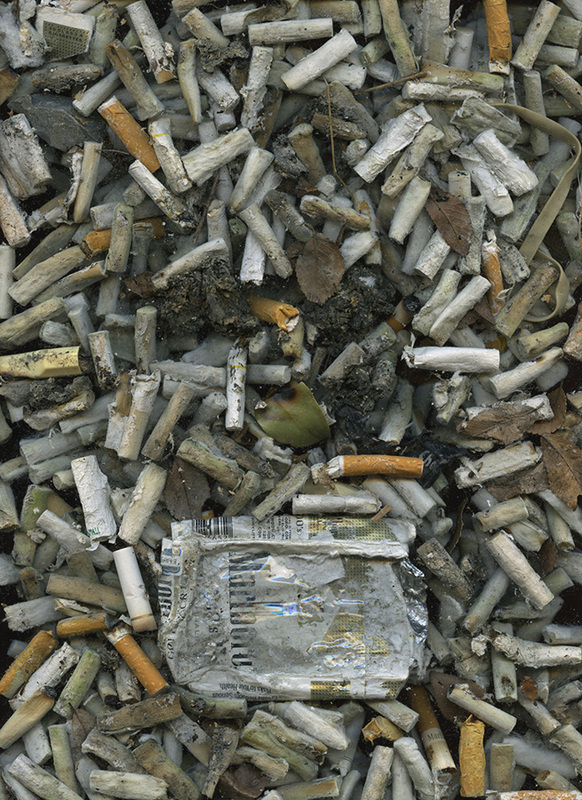 Cigarette-caused fires result in more than 1,000 civilian deaths, 3,000 critical injuries (many among firefighters), and $400 million in direct property damage each year. 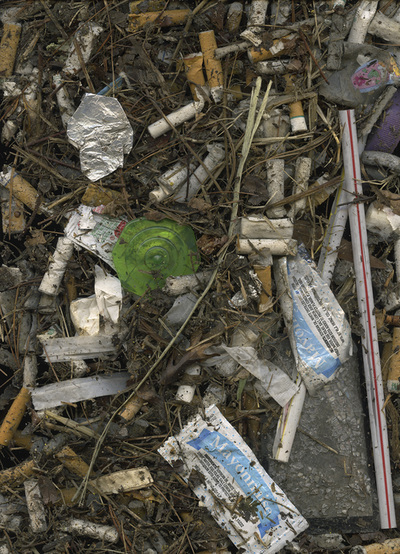 Property values decrease approximately 7% when excessive litter is present in an area. Communities that have a high rate of litter suffer from lost tourism revenue, increased costs for ecosystem restoration, and the cost of removing litter. States, cities, and counties spend $1.3 billion on litter cleanup efforts. 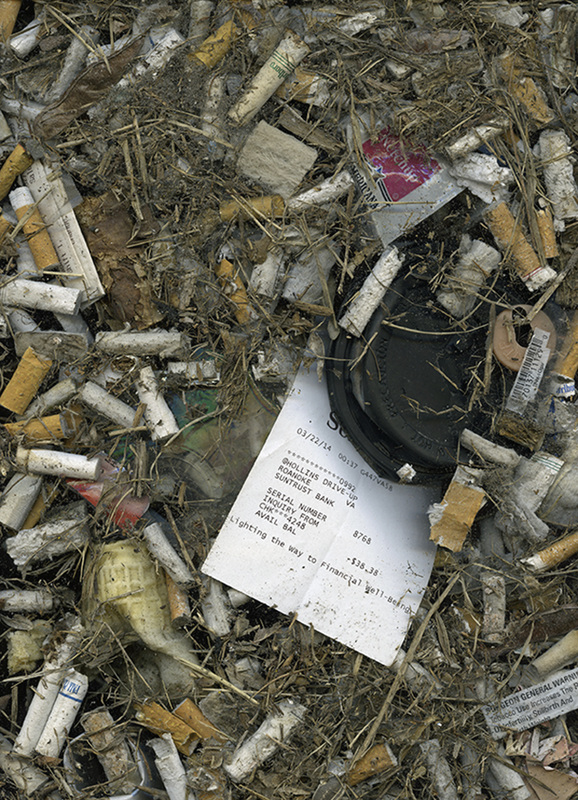 Businesses spend over $9 billion on litter annually. 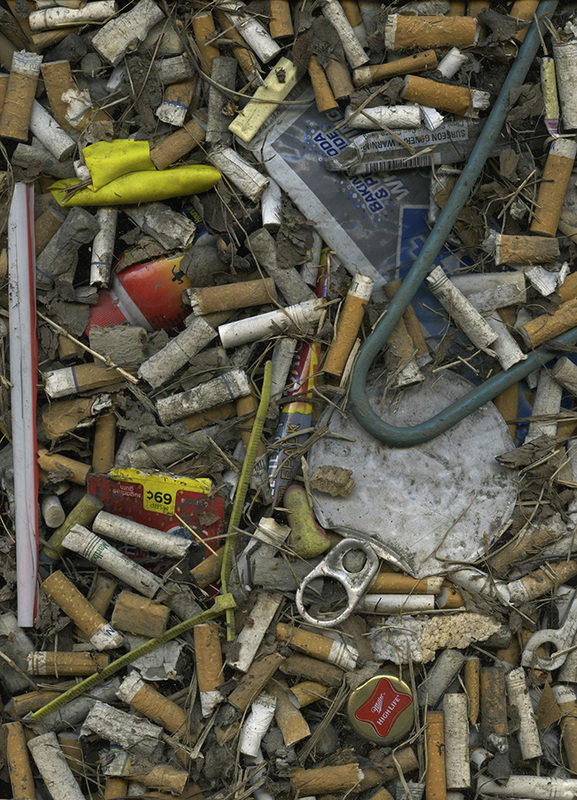 When I moved to Iowa, I didn't see cigarette debris along curbs that often. Upon closer inspection I found that instead of piling up along curbs, it often ended up in grass or nearby mulch beds. Perhaps it's because the landscape is more level, or it’s windier or there is more snow plowing. 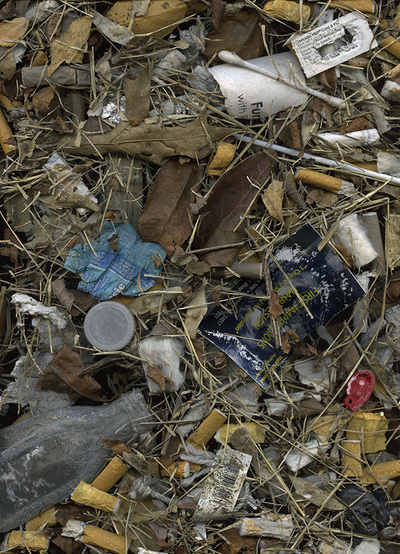 When in Roanoke, I started noticing that the debris I collected had a connection to what was nearby. For example, straws and mayonnaise packets showed up near fast food restaurants. When I continued this project in Iowa, I was more curious about why cigarettes were being thrown in certain places. 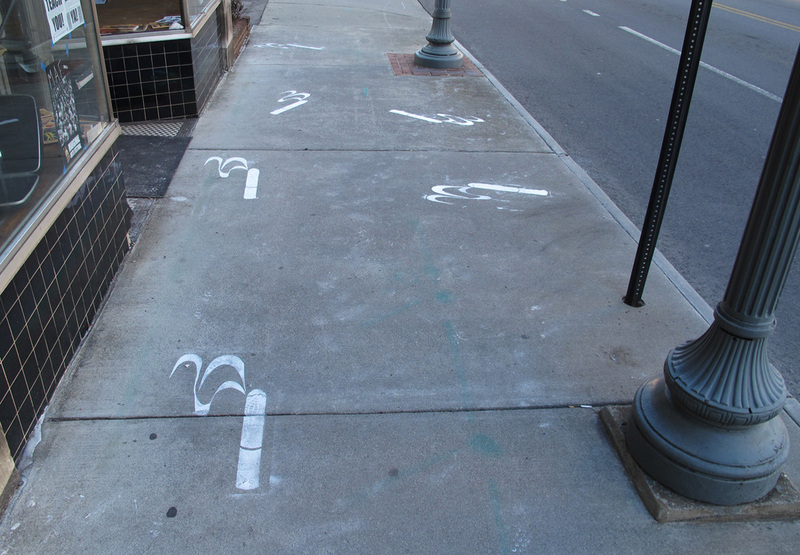 It appears to happen on breaks from work or school or when arriving at a destination. 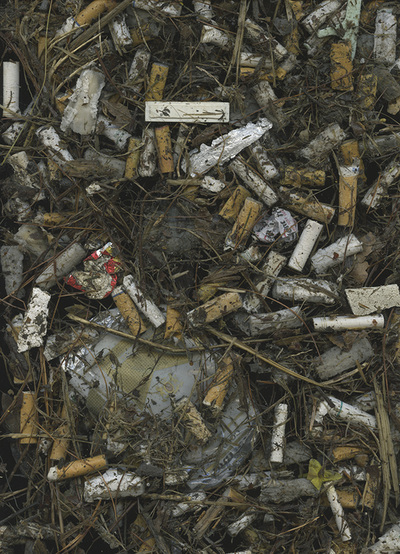 What has perplexed me the most however, is when cigarettes are thrown out in beautiful places, where people intentionally come to enjoy the view or the beauty of nature. 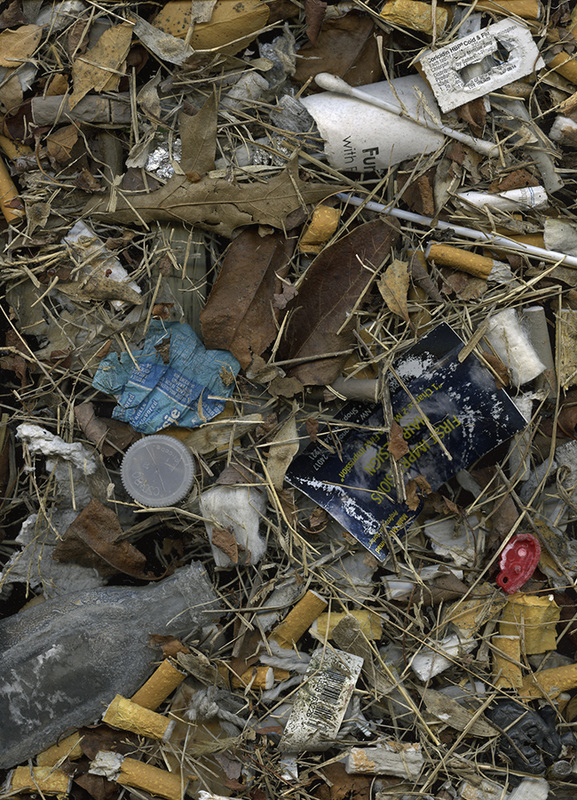 For this component of the CURB project, I photographed the areas where I collected the cigarette debris and juxtaposed the locations with scans of the debris I collected there.